Arnica is a genus of perennial, herbaceous plants in the sunflower family, which is native to the mountainous regions of Europe and Southern Russia. It has also been known to grow in parts of North America and Canada. This herb is also known by the names of Mountain Tobacco, and Leopard’s bane and Wolfsbane. Another herb, Aconite/Monkshood is also known as Wolfsbane. It was used by Swiss mountain guides to prevent fatigue when chewed and was also used as a substitute for tobacco. 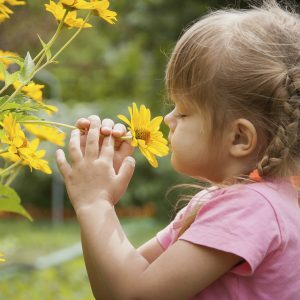 Arnica montana has been used for medicinal purposes since the 1500’s and is still popular today. It grows to approximately 1 – 2 feet, has yellow flowers with an orange centre and has an appearance similar to that of daisies. The stems and leaves of these plants are bright green and hairy, which is the reason for its original Greek name Arni, meaning ‘lamb’ (in reference to the plant’s soft leaves). The main part of this plant used for medicinal purposes are the flowers, but the roots and rhizomes (continuous horizontal underground stem) are often utilized as well. 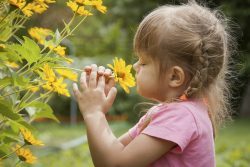 Arnica is not considered safe to ingest. It is considered generally safe to use on the skin, but it is not suggested to use on broken skin for prolonged periods of time because it often results in irritation. Symptoms of this type of irritation include eczema, peeling, blistering, and other skin conditions. Used internally, Arnica can cause dizziness, tremors, heart irregularities, irritation of the mucous membranes, nausea, vomiting, stomach pains, and diarrhoea. In severe cases, this herb can cause gastroenteritis, internal bleeding of the digestive tract, dyspnoea, paralysis of the nervous system, and cardiac arrest, sometimes resulting in death. Tablets and pills containing Arnica should only have a small dose which is safe for ingestion. This herb should never be used during pregnancy or breastfeeding, especially as it used to be used to induce abortions. There are no known interactions with other herbs or medications and should always be used under the directions of a doctor or physician.